Neither WSS Search nor the User Information List have configuration options. The remainder of this post will focus on SSP administration in MOSS 2007. Multiple My Site deployments can exist in the same environment allowing for specific users to have their My Site hosted by a different Shared Service Provider, this is common with global deployments. When a user’s My Site is hosted by a Shared Service Provider other than this one, that user will be blocked from using My Site related personalization features provided by this Shared Service Provider. The loss of functionality includes the ability to add users to their Colleagues list, the use of My Links and viewing people search results grouped by social distance. Enabling My Site to support global deployments, will allow a users who’s My Site is hosted by a different Shared Service Provider to perform actions such as adding colleagues and links to their default My Site and viewing people search results grouped by social distance. To associate specific users with different Shared Service Providers use the Trusted My Site hosts list. Note: It is recommended that you implement a profile replication solution before enabling My Site to support global deployments. Without a profile replication solution in place users that have their My Site hosted on a different Shared Service Provider will have a disconnected user experience. 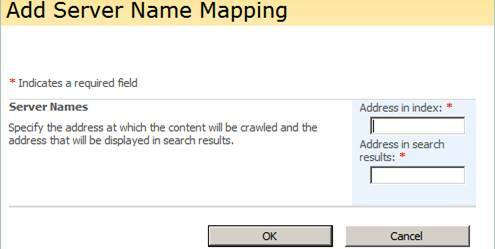 Crawling everything under the hostname will also crawl all the SharePoint Sites in the server. A lot of planning needs to be invested in audiences due to the potential complexity of their use for targeting content throughout the organisation. To illustrate, see the chart at the top of this post.